Mobile application Device Movement on Patient simplifies required logging of medical device usage on patient (particularly MD Class IIb and higher). Allows registering devices with a single barcode reading. It also makes it easy to check them before use. Log additions and removals of medical devices to the patient by scanning barcodes. Keep the current data about patients always at hand and work with them directly in the field. Load them by scanning the barcode of the patient. 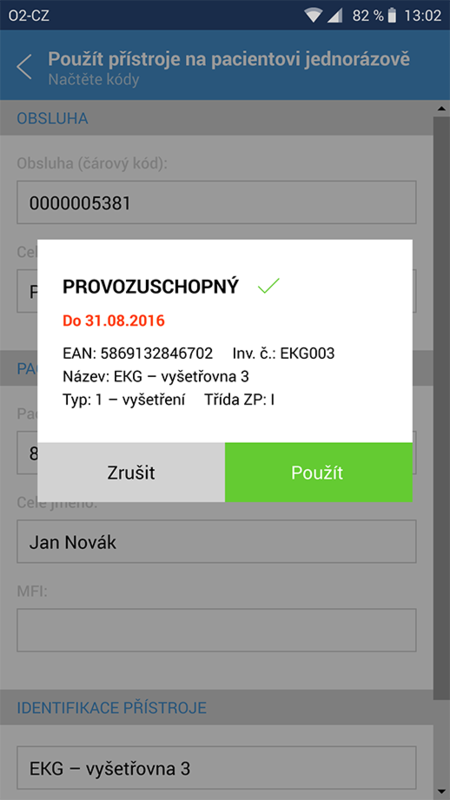 Display their EAN, inventory number, name and device type. Verify its operability by one touch of the reader. Send information about medical device usage to the FaMa+ TPIS database fully automatically. Log into the application with your personal number and password. Integrate the application with other hospital systems. - FaMa+ TPIS provides central administration of all hospital immovable and movable assets and unified and efficient management of processes concerning their operation and safety with an emphasis on cost reduction. Module suited for management of medical devices in accordance with the law No. 123/2000 Coll. and other governmental regulations. Provides an overview of medical devices’ value, depreciation, organizational units and persons who operate the medical devices. Module suited for keeping a stock inventory in one or more stockrooms. For individual stock items it allows registering receipts of stock to stockroom, issues of goods from stockroom, inter-stockroom transfers, accelerated issues into consumption or material reservations. Module for the management and administration of work requests. Authorized users are allowed to enter and approve requests for services, check the progress of their handling and evaluate their timeliness. Module supporting provision of operational, administrative, service, and repair activities. It is used for detailed scheduling, implementation and evaluation of the executed activities. In order to coverage the processes associated with changes in dislocation of workers inside a given organization. Module suited for central planning of operational activities, which are repeated at regular intervals and that require a complete provision in terms of the requirements for the material, the people in the organization or external resources. Module providing detailed construction and technical records of areas from the perspective of spatial disposition. Module containing Central and up-to-date registry of the reserved and other technical equipment with the option to sort the equipment according to its types, classes, production models, etc. Module intended for keeping detailed records of construction and technical elements of the buildings and of the suppliers providing maintenance of the construction parts and structural elements. Module containing central registration and administration of basic personal data about persons acting in the employment relationships with an organization, including the administration of professions and the workplaces within the organization. 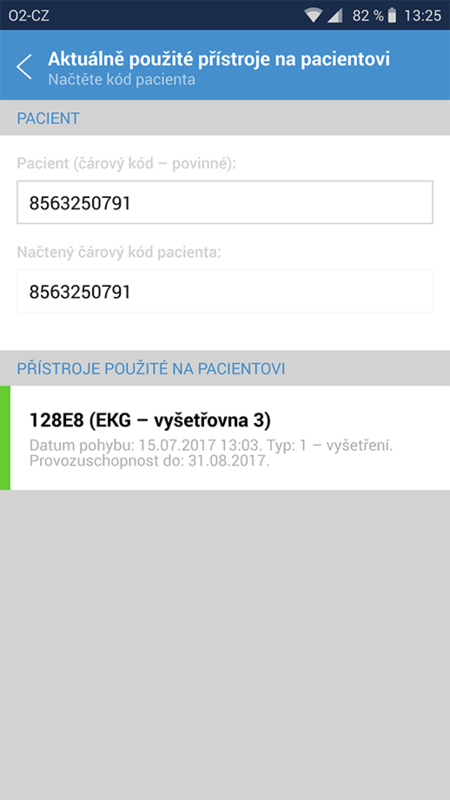 We will be happy to create a demo account for you, so that you can try the Device Movement on Patient app directly on your handheld. Try mobile solutions also for other aspects of the operation of healthcare institutions. Device Movement on Patient application was created in HTML5.